Francis Imbufe (Born September 8, 1987) better known as Tcloud, is a U.S. based Nigerian singer, rapper and songwriter. Tcloud, realized he has a talent in music and art sculpture but didn’t quite start his music career early. 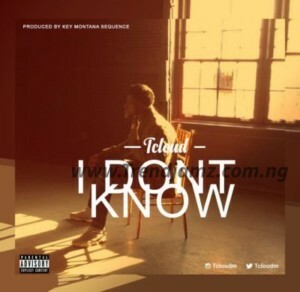 However, he has done a few collaborations with some artists and he is here with a new single titled “I Don’t Know” produced by Keyz Montana. Enjoy!! !